Here we try to make sense of the debate and provide you with some of the key issues that will help you to make an informed decision when the day of the referendum comes. The suggestion is that a Brexit could threaten the ability of UK workers to work in other EU countries, with new work permits and other red tape extending the time-to-hire process and adding to the recruitment costs of EU employers. This in turn could make UK workers a less attractive proposition to EU companies, it is argued. Then there is the argument that a Breixt would create a brain drain of talent leaving the UK. Indeed, many of the UK’s largest employers (BP, ASDA and BT to name but a few) have recently warned that a Brexit could cost jobs, as some companies will seek to leave the UK altogether to continue taking advantage of the freedom of movement enjoyed elsewhere in the EU. On the flip side, those who sit in the Out camp argue that Britain is more than capable of standing on its own two feet. They cite the UK’s world-leading capabilities in the fields of technology, finance and the creative and media industries as being key to stimulating long term jobs growth and retaining the talent we already have. There are over 2 million EU citizens currently living and working in the UK and while they supply much of the lower-paid workforce, they also plug many of the skills gaps that exist – particularly in key areas such as IT, construction and engineering. The In camp argues that if the Out campaign wins the referendum then there is a real risk of a forced exodus of key workers. Or at the very least, there could be a restriction on the number of workers able to come and work here. To counter the expanding skills gap, the In camp say that employers will incur increased costs for up-skilling the indigenous workforce, competition between employers for talent will push wages up and new red tape will come into play which will result in a lengthening of the hiring process to arrange work visas for those essential workers who will still need to be recruited from the Continent. In an open letter to David Cameron in March, signatories argued: “Business needs unrestricted access to the European market of 500 million people in order to continue to grow, invest and create jobs. Britain will be strong, safer and better off remaining a member of the EU.” It is a divisive issue but the In camp will say that remaining within the EU creates a greater sense of certainty over future employment trends rather than the Out camp whose projections are based more on supposition than actual fact. In March Cabinet Office Minister Matt Hancock argued that the “The risks to our economy are clear and would leave the jobs and prosperity of the British people dangerously exposed [if Britain opted to leave the EU].” Indeed, the United States also weighed in by saying that it has reservations over its future investment in the UK should we break away from the EU. Various surveys conducted during the first three months of the year certainly support Mr Hancock’s comments, with a slowdown in hiring activity universally reported. However, the latest figures from the REC’s Jobs Outlook report would suggest that hiring intentions are once again on the rise, with 81% of employers planning to recruit over the coming months. 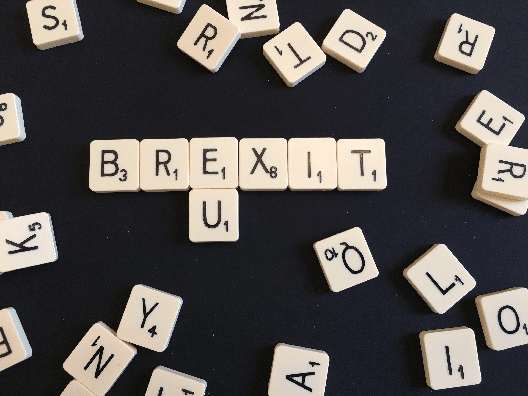 This suggests that business leaders are planning to recruit in anticipation of future demand but they are also acutely aware that even if a Brexit is confirmed, it will be some time – possibly years – before we see any real impact. The UK has traditionally had one of the most complex and ever-changing set of employment legislation, accentuated largely by the powers-that-be in The Hague. For many a break from the EU will be a welcome back turn on years of unwelcomed red tape and employment laws. He is not alone. Zac Goldsmith, Johnson’s possible successor as Mayor of London, points to the fact that EU law overrides UK law when it comes to the likes of the Working Times Regulations and Agency Worker’s Regulations. Whatever the result on June 23rd , there will invariably remain more questions than answers. We are entering unchartered territory where the complexities and uncertainties that exist will take some time to resolve, as the financial, commercial and legal implications of a Brexit slowly become apparent. If voters decide to leave, the process of adapting to a new post-EU world and our new place within it will not happen overnight. Like any new relationship there will be bumps in the road and the more the UK advances its case for continuing access to the EU market, the more the EU will want in return.